Replacement:CAB-10270. We switched suppliers and now have a new version. This page is for reference only. We do lots of converting from TTL serial to USB (using the FTDI and Silicon Labs ICs). 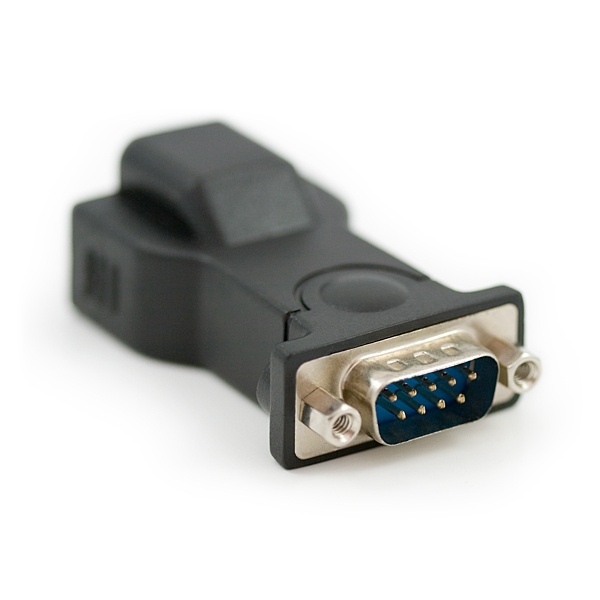 But what do you do if you've got a laptop and need RS232 serial? 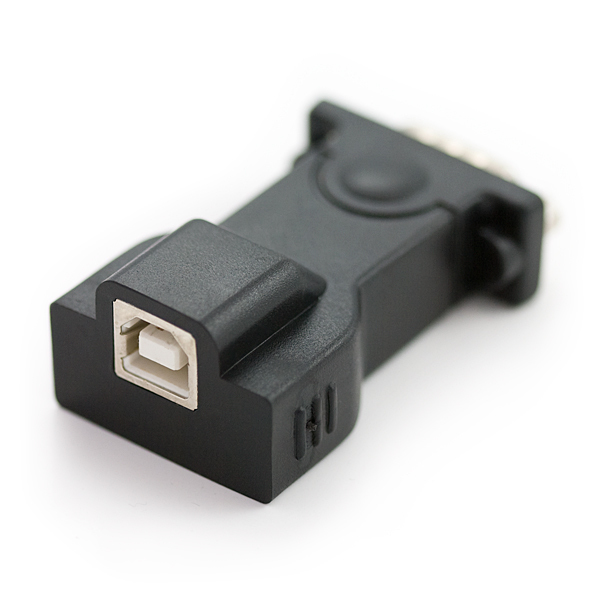 This is a high quality, low cost, small, and easy to use USB to RS232 converter. Device uses the Prolific IC PL-2303 and supports baud rates up to 1Mbps. Driver support for Windows, Mac, and Linux RedHat. 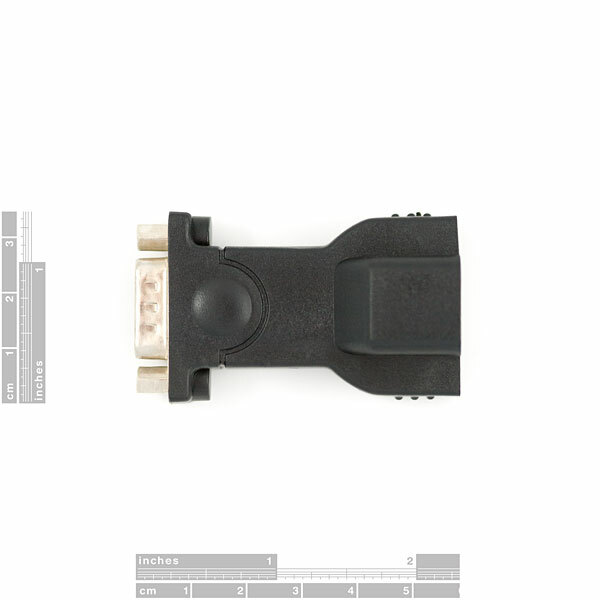 Our only problem with this device is the hex nuts on either side of the RS232 connector. These will often interfere and hit the hex nuts on the device you are attempting to connect to. Our recommendation is to grab a pair of pliers and pop these two hex nuts out of the black plastic housing. Pretty easy to do and will guarantee that it will connect to any device. Device comes with a USB A to B cable. Not sure if it's a permanent problem, but drive link throws ODBC errors, can't seem to find another mirror of this driver.